Question: how do you bond with your kids? Even if I am a stay-at-home mom, I still question myself if I spend enough quality time with my girls. Of course, hindi naman dahil I am a SAHM e madami na akong time. May house chores, sideline, running errands, making sundo of Sofi, etc akong ginagawa daily. And we know being a mom is a 24/7 job. Minsan we say to ourselves na hindi lang 24 hours ang need natin in one day para matapos lahat ng gagawin. 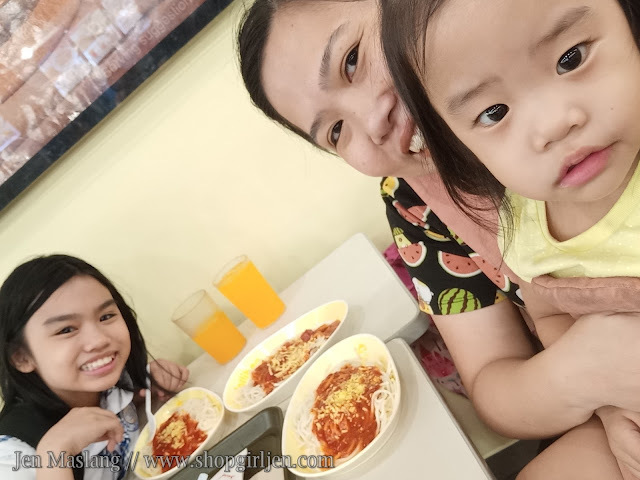 And minsan because of stress we make excuses not to give quality time with our kids. Parang basta magkasama ok na. Hindi pala ganon mga fellow parents. 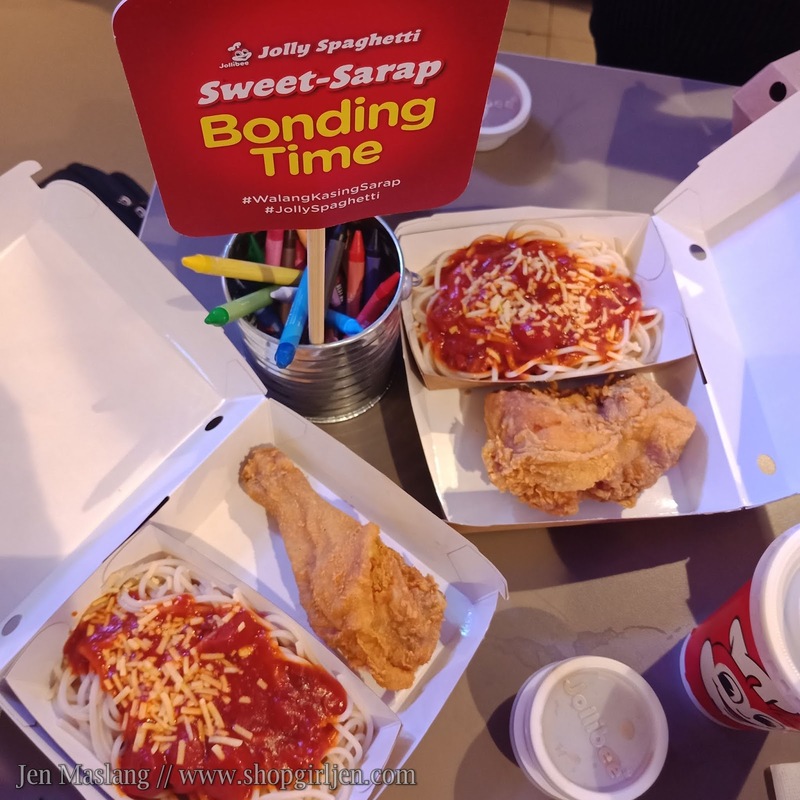 And I was reminded of this when I attended Jollibee Sweet-Sarap Bonding Time event. 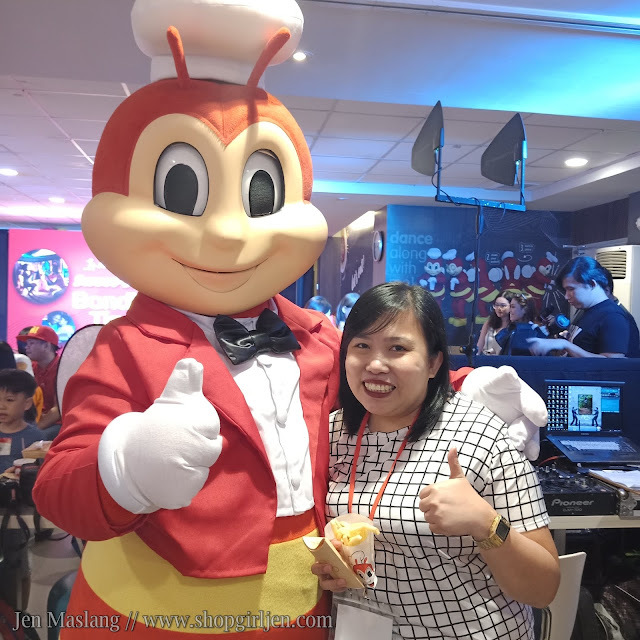 I really love the latest campaign of Jollibee. From lovelife, to kilig moments, ngayon naman for our kids. 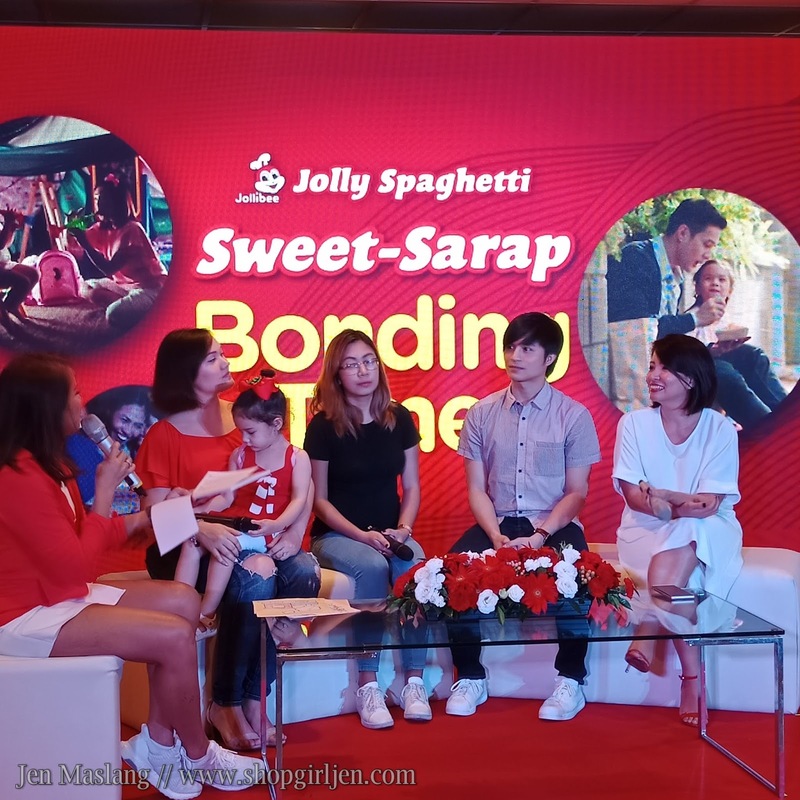 Held at Jollibee, Roosevelt branch, I had a privilege to attend Jolly Spaghetti #WalangKasingSarap event wherein they invited fellow celebrity parents as well and talked about ways on how to bond with our kids. Like what DelaMar shared, not because magkasama na kayo e ok na. If your time is being consumed naman in gadgets, no bonding is really happening. And I agree. 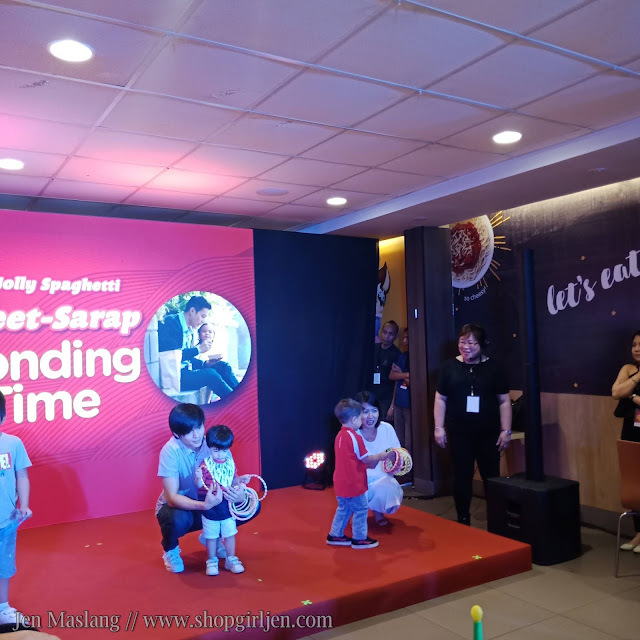 Yung tipong you're doing your thing sa gadget mo and same din sa kids mo, you're just physically present but no emotional attachment. Bonding for me is when you share something enjoyable. May interaction. 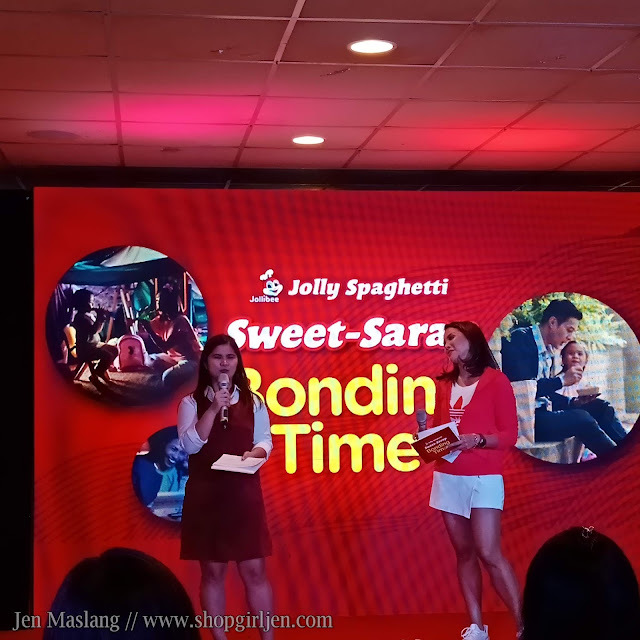 Like watching your favorite show together, playing, bedtime stories, and of course eating your favorite snack- Jolly Spaghetti! For decades, Jolly Spaghetti has always been a delight for Pinoy kids of all ages. It boasts of a unique sweet-sarap sauce, meaty hotdog slices, and a generous sprinkling of grated cheese on top of freshly prepared noodles. 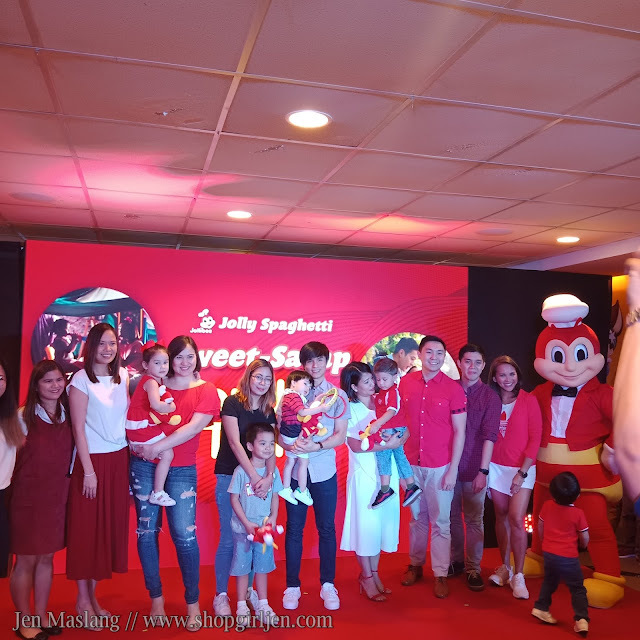 Kaya I appreciate the video shared by Jollibee in their Facebook Page to remind us parents how important it is to give time to our kids especially ito yung crucial time that will mold them into a great human being.